I had a very successful night on 11/01/2003. I had about 75 minutes until sunrise so I setup to take 4 x 15 minute exposures. 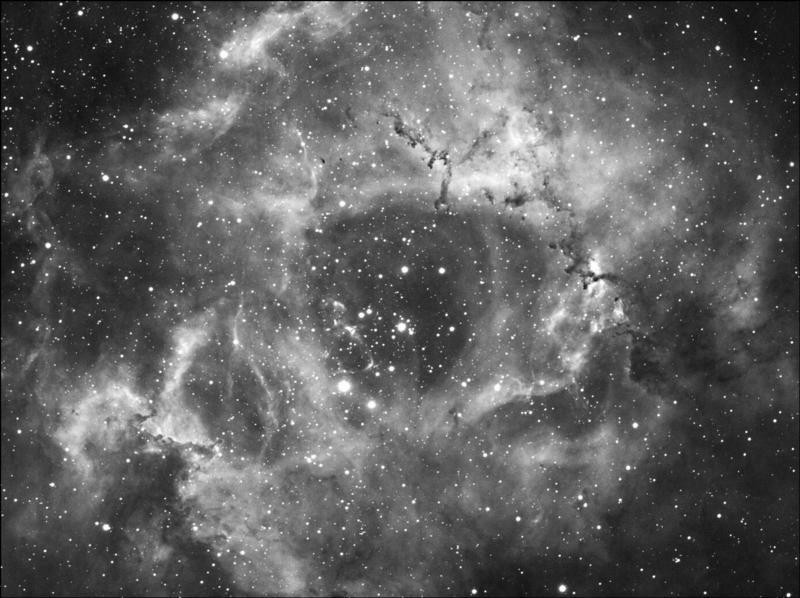 This object is also known as the Rosette Nebula.